If you’re planning a West Highland Way adventure, you’ve got a lot to think about. You’ll need to pack the right gear, get in shape for the long days of walking, make an itinerary, and figure out your travel logistics. Before you start all of that, however, you may be a little anxious about how much it’s all going to cost. Traveling in the United Kingdom has the reputation for being very expensive, and that’s generally true, but it is still very possible to have an amazing West Highland Way trek without selling your firstborn child to be able to afford it. One of the best parts about the West Highland Way for walkers on a tighter budget is that there are camping options on every stage of the trek, a few of them even being free. True, some of the campgrounds charge a rather steep fee for the ability to pitch your tent on their midgy, bumpy plot of grass, but relative to other accommodation options, camping is by far the best option and will allow you to keep your overall costs quite low. And, to be fair, the campgrounds are quite lovely; many offer hot showers, nice restaurants, wifi, drying rooms, and other amenities. If camping, you can also stay within a small budget by cooking most of your meals. 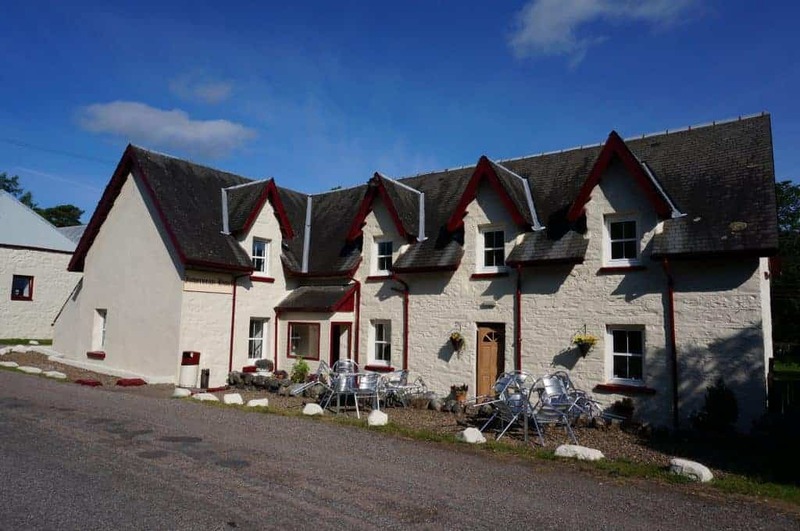 If sleeping indoors in a bed is more your style, the West Highland Way offers a wide range of accommodation for budgets of all sizes. The same goes for food and other services. Below we’ve outlined what we spent on our 2018 West Highland Way adventure. We hope that by sharing this information, our fellow hikers will be able to plan and budget more accurately for their own trip. Additionally, you might find that a trip like the WHW is more within reach than you originally thought, if you just make a few intentional decisions when planning your travel. So grab your tent and get out there! 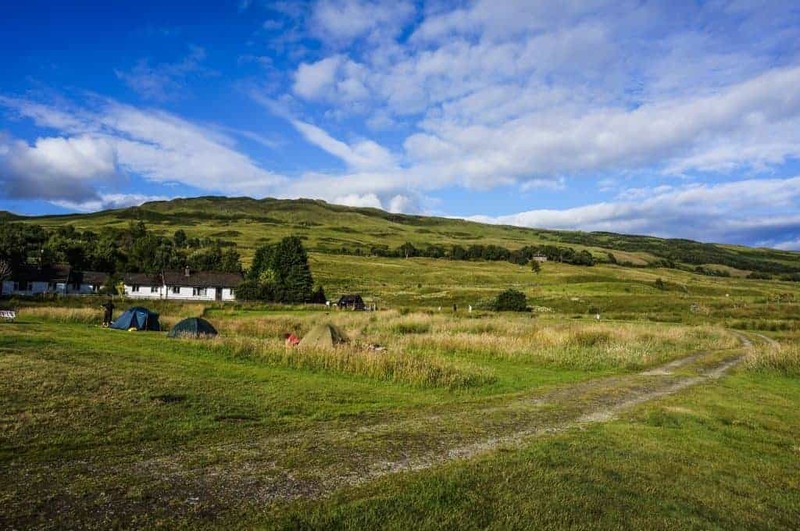 We chose to camp every night of the West Highland Way and highly recommend it for a number of reasons. Many of the campgrounds were quite luxurious, with amenities such as hot showers and wifi. We preferred the privacy of our tent over the dorm-style sleeping arrangements of bunkhouses and hostels. And of course, the price of camping can’t be beat! 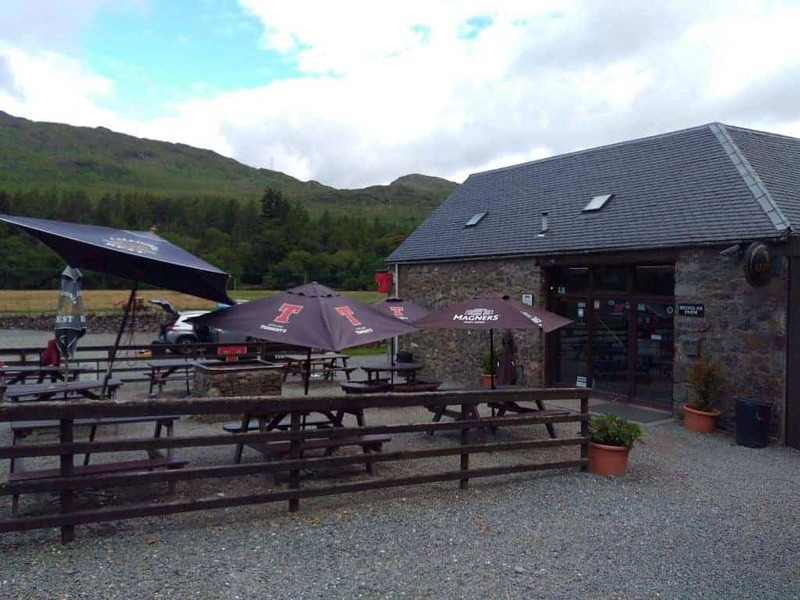 Depending on how your itinerary shakes out, there are also several bothies that provide a free and authentic WHW accommodation option. Finally, we stayed in Airbnb’s the night before we started our hike and the night we finished. If it works with your budget, you’ll greatly appreciate these little slices of luxury on the bookends of your hike. It’s a quick and easy trip to get from Glasgow to the start of the walk in Milngavie. We traveled to the hike from Edinburgh, which was also very efficient. Upon finishing in Fort William, if you’d like to return to Glasgow, you can either take a bus or a train. The bus is cheaper, but the train is very scenic, as it follows the West Highland Way for much of the way. If you choose to splurge on the train, make sure to buy your tickets well in advance. The price increases significantly as you get closer to your departure date. We strategically used credit card points and miles in order to fly from Denver to Edinburgh for nearly free. Read more about how we did it here. Instead of spending a small fortune on restaurant dinners or fancy freeze-dried backpacker meals, we preferred to stock up on lightweight, nutritious, and tasty dry goods from the local grocery stores to fuel us along the West Highland Way. We tended to eat ramen noodles, mac’n’cheese, or instant curry pots for most dinners. The shops we encountered along the trail had excellent cheap, fresh sandwiches, which were a welcome treat when we were able to get our hands on them. For lunches, we snacked on a trail mix blend that we made from salted peanuts and raisins that we stocked up on whenever we found them at a reasonable price along the route. For breakfast, we ate muesli with powdered milk and instant coffee. Occasionally, we’d pick up some fruit from a local shop, and we also enjoyed our fair share of post-hike french fries. These foods kept us feeling full throughout long days of hiking, and we found them to be more enjoyable than the space-age style backpacker meals. Plus, they were a fraction of the price! On average, we spent about £9-13 per person, per day on our food and drink. Ready to keep planning your West Highland Way adventure? Be sure to read our entire series on the West Highland Way to learn everything you’ll need to know to prepare for this incredible adventure! 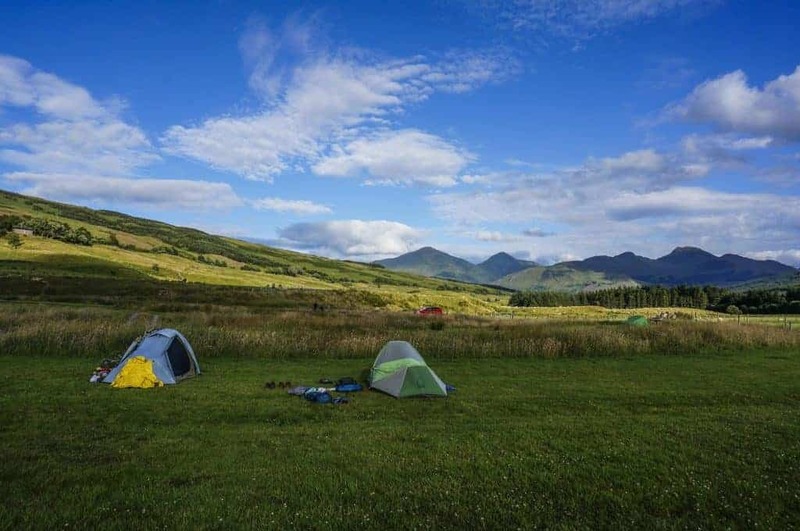 How to Train for the West Highland Way – Don’t be the last to make it to the campsite!